When Snow was five years old, she attempted to walk through a mirror, cutting herself to shreds. Ever since, she has lived in the Whittaker Institute – a mental hospital in New York. When she is banned from seeing her closest friend in the hospital, Bale, she devises a plan to escape with the encouragement of a strange new boy who appears in her dreams, encouraging her to find him beyond the tree. Snow soon finds herself in a world unlike her own, full of witches, magic, and snow-wielding kings – and it just happens to be the world that she had been born in. Now, she must uncover the secrets of Algid to help her find Bale, whilst trying to learn how to control her new found powers and come to terms with her royal heritage. Thank you to NetGalley and Bloomsbury for the ARC of this book! First off, I just want to point something out – a lot of people seem to think that this is a Snow White retelling (and I did, too, before I started reading it). Although Snow White’s dwarves are mentioned, this is when Snow is talking about the fairytale, not reliving it. This story is, if anything, a retelling of Hans Christian Andersen’s The Snow Queen. Frankly though, if you’re looking for a retelling of that fairytale, I would honestly recommend sticking to watching Frozen. Really though, I think the world retelling is getting thrown around a bit too much now. This is a novel about a girl who has snow related magic and also happens to be a long lost princess, and we’ll leave it at that. Anyway. Stealing Snow was certainly an experience. And when I say that, what I mean is I had no clue what was going on for the majority of the book. At the beginning of the book, when Snow was still inside the institution, I was really interested. I wanted to know more about her life there, why she had been put there, about the other teens living there. Once Snow was outside and running around Algid, however, I lost interest quite fast. Snow is taken to Algid by Jagger, wanting to find Bale, but then gets caught up with a river witch, a girl with a penchant for magic who was so insignificant that I can’t remember her name (Gaude, maybe?) and this girls sort of brother Kai, who is essentially the epitome of male YA stereotype. I have never read a character who is so unnecessarily melancholy. So, let’s review. We’re probably not even 25% into the book at this point, and we already have three love interests. When reading YA, I would expect one, if not two, love interests. But three? What? For a start, Snow has literally just met two of these boys – one of whom she believes kidnapped her first love interest, and the other who is nothing but awful to her. Second, I just don’t see the need? I didn’t think that whatever she supposedly “had” with Kai impacted the story in any way – it was completely unnecessary. So after Snow has had her run in with Kai and co., she meets up with Jagger again who takes her to meet a bunch of robber-girls who live in a castle, creating spells and changing their faces. You’d think everything would improve at this point, and the plot was definitely getting more interesting, but I still just didn’t care. I just can’t connect with a book if I don’t care about either the plot or the characters. This book does seem to be getting a lot of mixed reviews, so I would definitely encourage anyone who had been thinking about reading it to try it for themselves. Everyone has different opinions, after all! 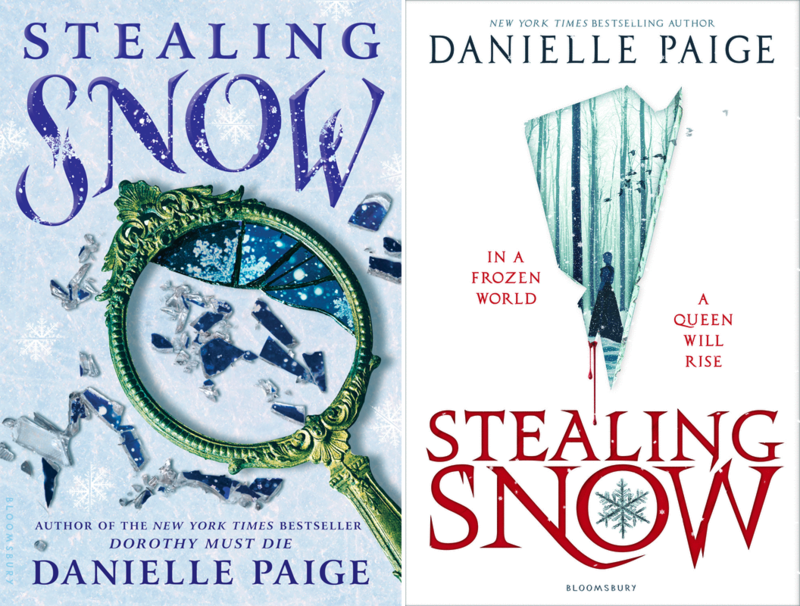 Have you read Stealing Snow yet? What did you think of it? Let us know in the comments!